On April 1, 2018 we lost our brother and Secretary/Treasurer Richard Lance Garner Jr. Richard was a firefighter/paramedic for the City of Madison Fire Dept and had been serving since 2012 from Station 5 on the city's eastside and most recently from station 10 on the city's northside. Richard was loved and befriended by many. "Rick" as he was known to his friends, "Garner" to his peers, and "Ricky" affectionately to his family, was a big man with an even bigger heart. Rick came to Madison from his hometown of Pasadena, CA to attend the University of Wisconsin-Madison on a football scholarship. After UW, he opted to stay in Madison and pursue a career in the fire service. He attended MATC's fire program and became an intern with the Maple Bluff Fire Dept. In 2012, he would be hired by the City of Madison Fire Dept in the first recruit class under Fire Chief Steven Davis. As a member of the MFD, Rick continued his passion for serving others in several different capacities. He became the head of the department's recruitment and hiring committee and could be seen at numerous job fairs, open houses, and firefighter fun days. He also joined the Sable Flames and served as the Secretary/Treasurer, and handled all scholarship correspondence and scholarship disbursements to our recipients. In 2016, he achieved the rank of Firefighter/Paramedic as part of his continued quest to help people in their time of need. In his short 29 years, and only 4 days away from his 30th birthday, Rick had a profound effect on those around him and the greater Madison community. 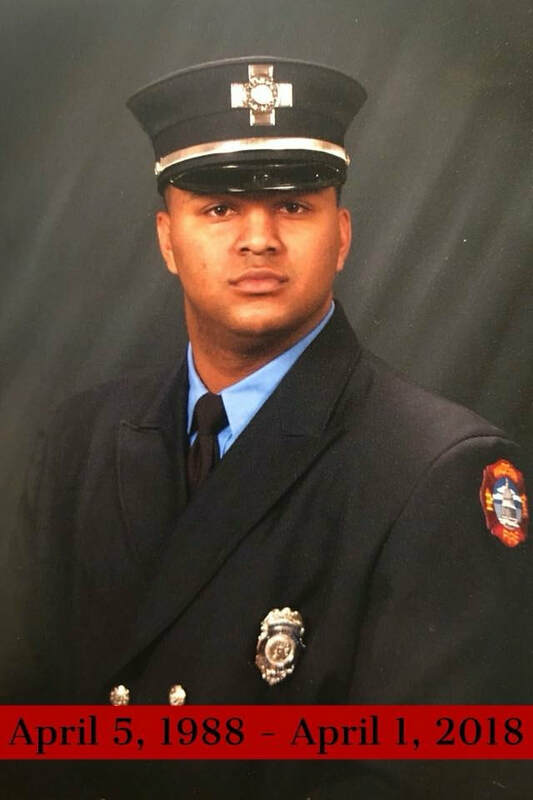 From his love of motorcycles, his passion for the fire service, and his dedication to help the youth, Richard put maximum effort into everything he did. He always smiled, gave big hugs, and made everyone feel like they were his good friend. One of his defining traits was his youthful spirit and optimism about life. Richard is survived by his mother Lenell, father Richard Sr., brother MItchell, and sister Ciara. We will never forget you. Rest easy brother, we will take it from here.